Highly qualified and motivated employees are the key to success for the Steiner Group. At Steiner, you can expect varied activities, fascinating projects, an attractive working environment and interesting career prospects. We nurture a culture of exchange and dialogue, and we challenge and support our employees. Help us to actively shape the future of our company – either as an ambitious career beginner, an experienced professional or an enthusiastic apprentice. We can take the lead together – for our employees and our customers. Please click on the link below to see the career opportunities that the Steiner Group has to offer. Happy browsing! Register your candidate profile online, take a look at all vacancies on our Recruitment Platform and apply directly online. Steiner AG was founded in Zurich over 100 years ago, and is one of Switzerland’s leading property developers and total/general contractors. We offer comprehensive new-build, renovation and property development services and have already delivered over 1,500 residential projects, 540 commercial properties, 45 hotels and 200 infrastructure facilities. Find out why it is worth to work for Steiner. More. Steiner AG’s head office is located in Zurich. 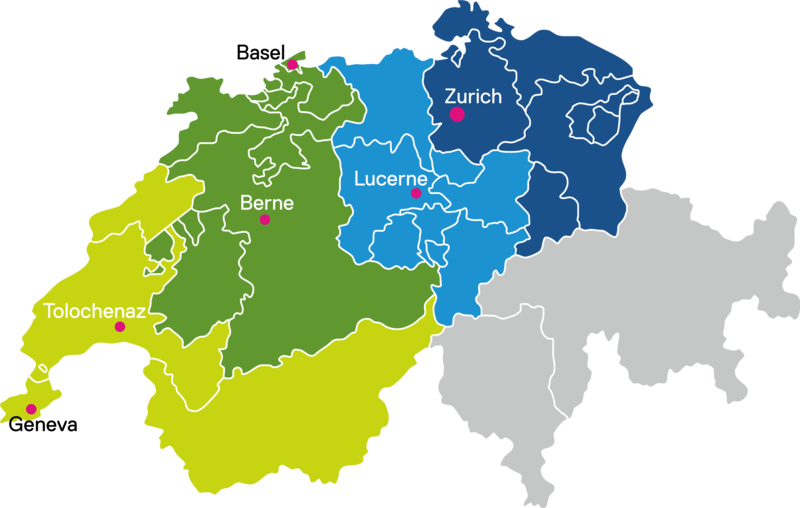 We also have branches in Basel, Bern, Geneva, Tolochenaz and Lucerne. Discover the additional benefits that each of our locations can offer its employees. More. We at Steiner believe that it is important to employ people from different backgrounds and making them feel included. See what our employees say about working for Steiner. More. Are you looking for the perfect introduction to the world of work? If so, take the first step and start our career with us. More. Are you looking for a fascinating and varied introduction to a commercial career? If so, Steiner is exactly the right place for you. More. Have you found an interesting job on our website? If so, we look forward to receiving your online application. So that you know how the application process works at Steiner and how long it takes, we’re going to explain the individual steps to you. We’ll also give you some valuable tips for making your application successful. More.